New Delhi : As Cabinet heads for a reshuffle on Sunday, speculations mounted that Goa Chief Minister Manohar Parrikar may get Defence Ministry. - About 20 ministers are likely to be inducted in this Cabinet reshuffle. - Birender Singh from Haryana, Giriraj Singh from Bihar and G S Shekhawat from Gujarat are the names which are likely to be inducted in the Union Council of Ministers. 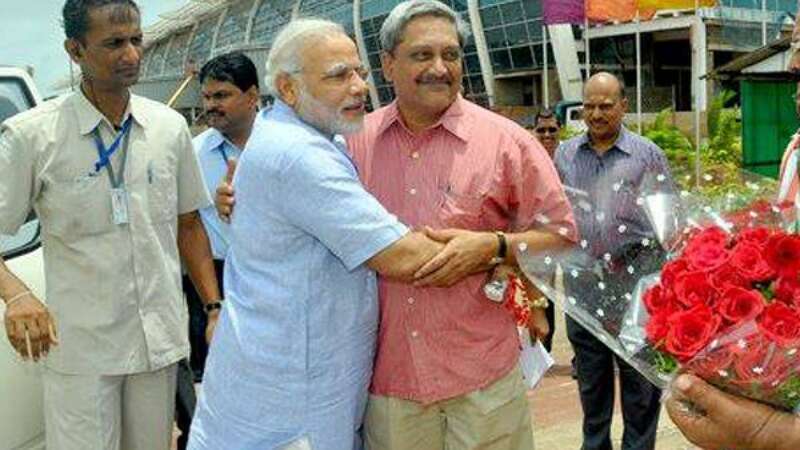 - Manohar Parrikar’s name came into the foray after he cancelled Goa Cabinet meeting to meet Amit Shah, followed by a meeting with PM Modi in night. - Parrikar not gave a clear wording but also didn’t deny the mentioned fact about defence ministry. - "I can comment on it only after meeting the Prime Minister. Let the Prime Minister who has invited me comment," Parrikar said when asked about the media speculation after his meeting with Shah.